Sushi is a Japanese food and international favorite. It’s a gorgeous dish when presented well and very healthy, too. Have you ever wanted to make Sushi on your own? If you want to give it a try here’s how. Read on to learn how to make sushi. Prepare the rice by rinsing the cups of short grain rice with cold water until the water is clear. Steam the rice in the rice steamer. Use 2 cups of water for the rice. You can also use a regular pot to cook the sushi rice. Place the pot over medium heat with two cups of water inside. Bring the water and sushi rice mixture to a vigorous boil. Then, lower the heat setting on the stove so the rice starts to simmer. Cover the pot with a tight lid and allow the rice to cook for another ten minutes. Take the sushi rice from the stove and place it to the side to sit for twenty minutes. 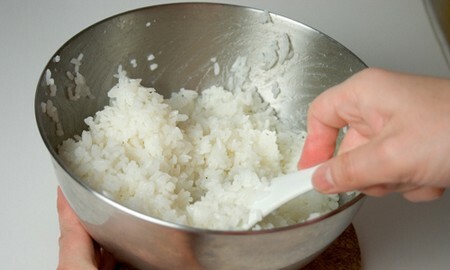 Use a wooden spoon or either a spatula to remove the hot rice from the pan and spread it in an even layer on a dish. Allow the rice to cool off totally. Mix the salt, rice vinegar and sugar in a skillet. Warm it so the salt and sugar start to dissolve. Put the vinegar combination over the sushi rice with the spatula. A spoon may be easier to use. Do not crush the grains of rice. Determine what the inside of your sushi will contain. 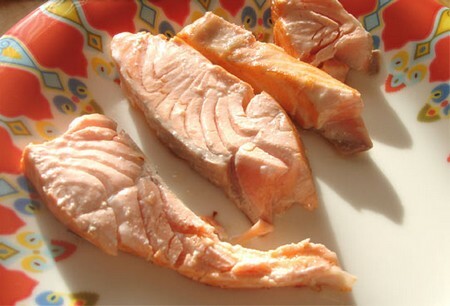 You can do some popular fillings like all vegetable, cooked shrimp, salmon, tofu or more. You can get creative and use mixes that are appealing to the eye and taste great when paired together. Slice the filling ingredients into even, thin, strips. Toast nori with low heat. Put the nori on the mat for rolling. Put the rice on the sheet evenly. Unroll and slice the sushi into pieces.